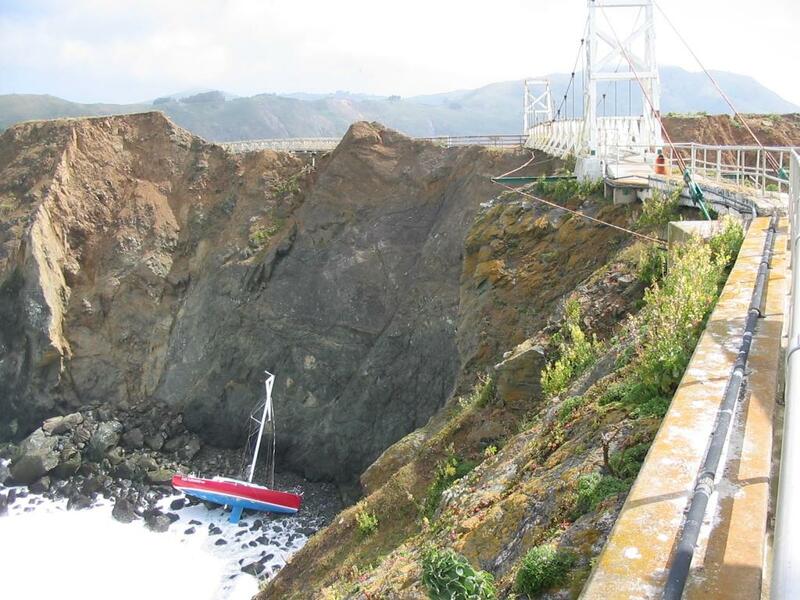 Point Bonita Vessel Salvage - Global Diving & Salvage, Inc.
A sailboat drifted onto shore losing its mast on the rocky coast line just north of the Golden Gate Bridge and Point Bonita Lighthouse. The stranding happened in an ecologically sensitive area. Global was called in to asses the situation. Our salvage experts determined the most expeditious method to remove the sailboat before it was broken up by the surf, was to lift it with a helicopter. Once removed from the shoreline, it was set on a truck for transport.